The 2013 edition of renowned Geneva Motor Show featured many top-of-the-line sports and luxury super cars, which left the global automobile aficionados awestruck with sheer admiration. The likes of LaFerrari, Lamborghini Veneno, McLaren P1, Porsche 911 GT3, Bugatti Veyron Grand Sport Venet and Koenigsegg Hundra amid others, left little to imagination of what the future of super sports cars is going to be. The auto salon remains in the limelight every year, because of its top draw new model showcases by the prominent international sports and luxury car makers. Ferrari, the Fiat-owned Italian super sports car maker, stole the limelight from other models with its Enzo successor, or the 'LaFerrari.' Showcased in the iconic red paint, LaFerrari is the company's first hyper hybrid super car that generates a mind blowing 950bhp+ power output and is being called one of the fastest Ferraris in recent times. The Italian super car maker claims its LaFerrari to be among the fastest street legal super car in the world. Coming to under-the-hood configuration of LaFerrari, the sports car is powered with a 6.3 litre V12 petrol motor coupled with an electric motor. The hyper hybrid petrol and electric engine assembly belts out an astonishing combined power output close to 963 bhp. One may call LaFerrari- the meanest Ferrari super car that also carries an equally exorbitant price tag over £ 1.6 million. The Ferrari LaFerrari can reach 0 to 100 kmph in just a fraction short of 3 seconds and can top a speed in excess of 350 kmph. The highlights of 2013 Geneva Motor Show. 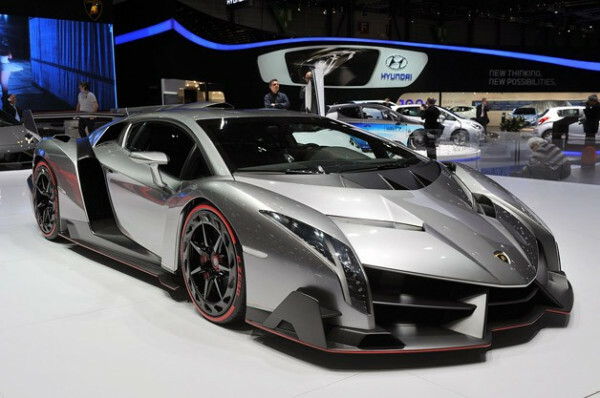 Lamborghini Veneno was the only model at this year's Geneva Motor Show that could take head on the likes of LaFerrari, McLaren P1, Bugatti Veyron Grand Sport Venet and Koenigsegg Hundra. The stunning 'Raging Bull' shares platform and engine with its elder sibling Aventador and is the sharpest looking Lamborghini models of recent times. The Lamborghini Veneno comes fitted with a tweaked 6.5 litre V12 Aventador powertrain that churns out a peek output power of 750 bhp. Further, Veneno zooms accelerates to the 100 kmph threshold in just 2.8 seconds from a stand still and can reach a top speed of 355.55 kmph. 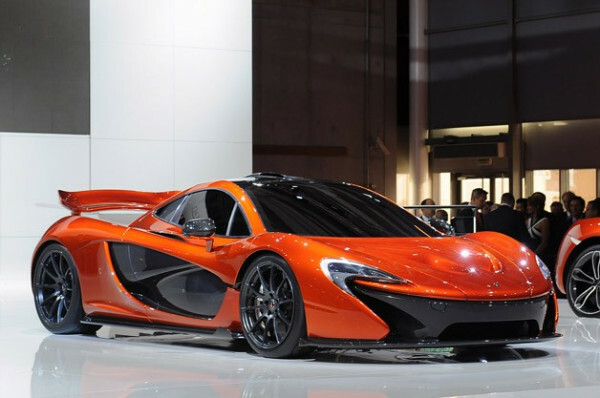 The McLaren P1 is also a hyper hybrid super car showcased at the 2013 Geneva Motor Show. The stunning P1 generates its power with the 3.8 litre TwinTurbo V8 engine combined with an electric motor. The hyper hybrid pumps out an eye popping combined maximum power output close to 903 bhp. Further, the 3.8 litre TwinTurbo V8 power plant generates a highest power output around 757 bhp, whereas the coupled electric motor belts out an extra power of 176 bhp. The McLaren P1 hyper hybrid super car is reported to be able to reach a top speed over 350 kmph. 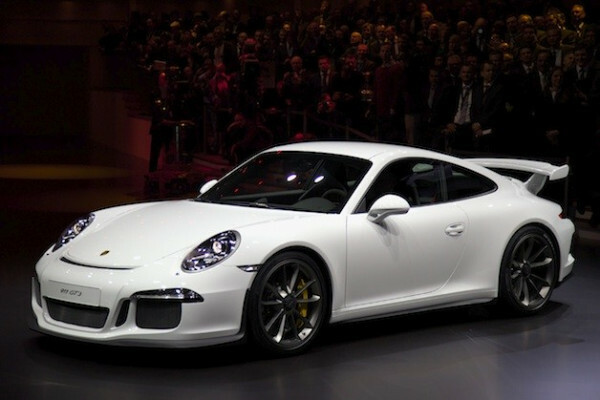 The latest member of legendary Porsche 911 series of super cars, the 2013 911 GT3 sports car was also unveiled in Geneva this year. Based on the 911 Carrera model, the 911 GT3 comes with all aluminium chassis that has helped in keeping its weight to the minimum and ensuring an overall stiff build. Under its bonnet, the Porsche 911 GT3 incorporates a naturally aspirated, 3.8 litre, 6-cylinder boxer powertrain, which rolls out an impressive 475 bhp at 8,250 rpm. The stylish Porsche super car can reach a top speed of 314 kmph (195 mph). Koenigsegg, the renowned Swedish super car maker, unveiled its 100th production model, the Hundra at this year's Geneva automobile convention. 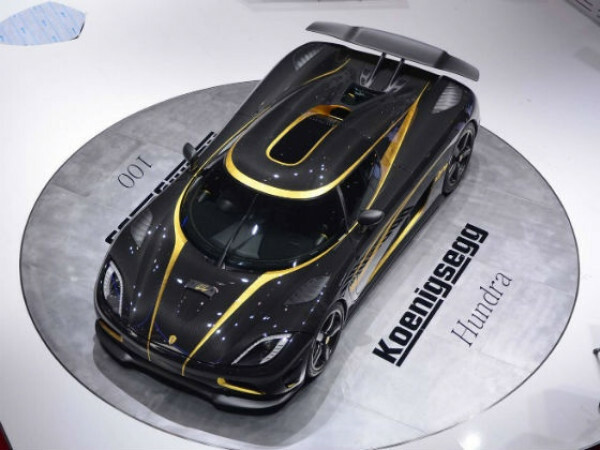 The Koenigsegg Hundra showcased in Geneva was a celebration model (not for sale) and featured a complete carbon fibre body, painted with 24 carat gold. The stunning model attracted quite a lot of attention and was among the most popular super cars displayed at the event. The Hundra is special version of Koenigsegg Agera R model and can reach a top speed over 400 kmph.